The benefits of cycling are as vast and varied as the number of lanes you can explore on a bike. Summer has ended but biking doesn’t have to. Nothing beats exploring the colours of fall along the countryside, working your mind and every muscle along with it. There are many other reasons to pedal every day of the week. Here are a few more that may inspire you. It’s common knowledge that an active lifestyle releases adrenaline and endorphins that keep you grinning without reason throughout the day. There are studies to back this fact. YMCA reported that active individuals have a wellbeing score that is 32% higher than inactive individuals. Cyclists are more confident, have higher self-esteem and are less prone to depression than inactive individuals. Cycling is for both individuals and group activity lovers. You can enjoy the sport on your own or ride with your family or friends for more fun. 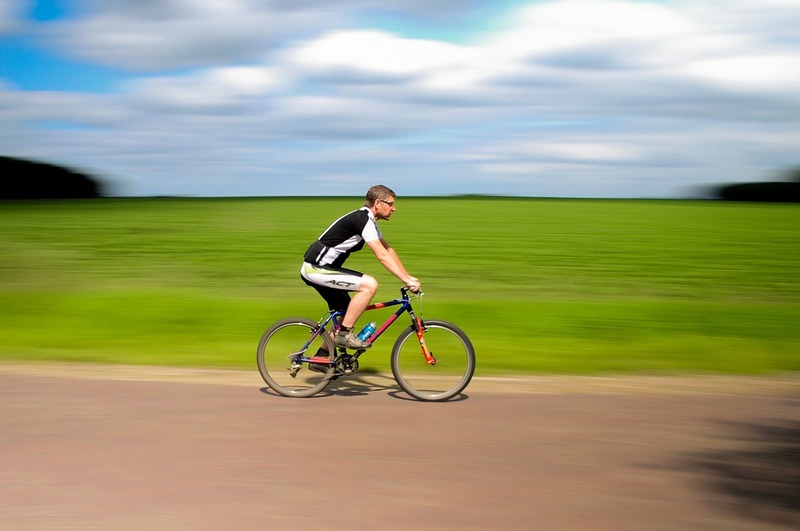 Cycling burns calories faster and more effectively without straining your muscles than many other sports. You can burn as much as 200 to 500 calories in just half an hour, depending on the intensity and weight. Burning calories induces hunger and helps you rest better at night improving the quality of your eating habits and sleep. Cycling allows you to adjust resistance that helps you burn fat and build muscles. Don’t be surprised to see your glutes, hamstrings, quads and calves swelling up with strength. Once you start building muscles, you never stop burning fat, even in your sleep. You look more toned and start feeling better than ever. You lose weight fast and keep it off, no matter what age you are. The Institute of Cardiovascular and Medical Sciences found that cycling to work can reduce the risk of heart disease and cancer by as much as 50%. Riding a bike improves lung power, heart health, and more blood is pumped to all organs in your body, boosting your overall health and immunity. A study in 2013 reported that a cyclist’s blood flow to the brain went up by 28% and remained up by 40% well after the exercise. Increased brain power means decreased chances of degenerative brain diseases such as dementia later in life. Cycling is a low-impact exercise which means the chances of injury are lower. While long-distance running can cause muscle damage inflammation, long hours of cycling does little to no harm because it is less weight-bearing. Neither does it increase bone density as many other sports do. The best way to reduce the chances of injury is to add strength training to your cycling schedule and shop for a high-quality bike from a trusted source to minimize strain. Cycling allows you to navigate easily, beat traffic and reach nearby destinations on time. It helps you bring down pollution levels, save on gas, save expenses on public transit and save you time. Cycling also improves your sense of direction. Make sure you invest in the best bikes with the right configuration so you enjoy every ride to the fullest. Whether you are looking to upgrade your bike to a professional one or buying a new one, check out our wide range of BMX bikes that are available across various price points. We also specialize in custom BMX’s that are tailored to fit your riding style. We are aiming to lead as one of the world’s best online sales centres for BMX bikes and parts, providing the fastest shipping and great prices. Contact us for yours. This entry was posted in Biking, Health. Bookmark the permalink.